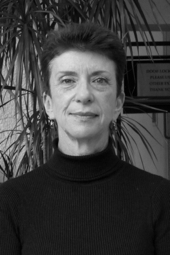 Alison Brumwell is a librarian for Booksplus, Leeds and Director of the Morley Literature Festival. She blogs here about her role as a judge for the 2014 Carnegie & Kate Greenaway Children’s Book Awards. Our Kirklees Carnegie and Greenaway shadowing groups are gearing up for action and there is already a buzz about what was shortlisted and what wasn’t. From my own vantage point, it’s a relief not to have to read in secret any more. I managed to furtively re-read both ‘The Bunker Diary’ and ‘Rooftoppers’ under my mosquito net in Mbale, but haven’t dared to risk CKG reading on the Leeds to Huddersfield train! It was heartening to find that the Carnegie and Greenaway Medals are widely supported in the U.S. and are seen as being just as relevant as the Newbery and Caldecott Medals. My visit to the New York Public Library was one of the highlights of my recent trip; I had a wonderful discussion about the medals, my CKG reading experience and children’s fiction in general with Louise Lareau, the librarian who manages the Children’s Centre at 42nd Street. Their current exhibition of illustrated children’s books is stunning; plenty to inspire me and reflect upon. In fact, Patience and Fortitude, the twin recumbent lions outside the library’s main entrance, are for me emblematic of the whole Carnegie and Greenaway Medal judging process: plenty of each is required to read in depth all the nominated titles. As my third year as a judge (and possibly best yet) winds down, the experience continues to be one of the most rewarding I have ever had. our latest news on Twitter.